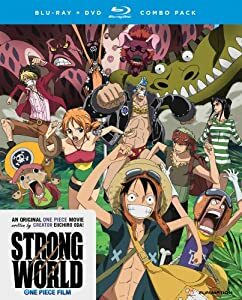 Seeing as the US Blu-ray / DVD Combo Pack of One Piece: Strong World is REGION LOCKED and there is no word of a UK Blu-ray (or DVD) release due anytime soon is worth mentioning that the Australian Blu-ray, which was released on the 19th February 2014, is fully compatible with UK Blu-ray Players. 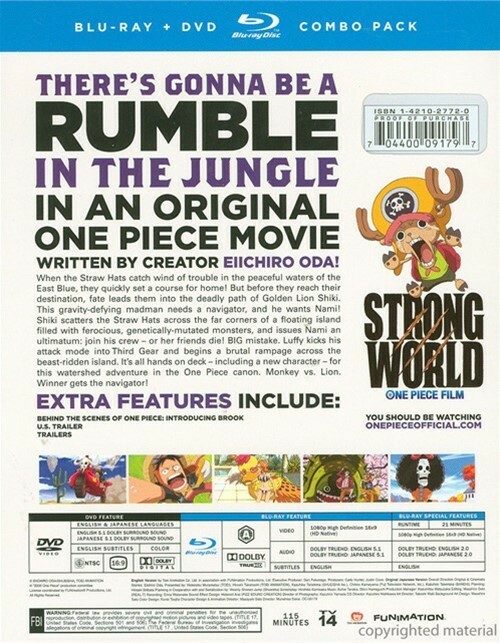 As with all Australian Blu-rays the discs are encoded Region B, meaning they play perfectly fine within the UK, and with One Piece: Strong World this isn’t an exception. There isn’t much to talk about, as its a 115 minute long film (in High Definition) put onto a Blu-ray disc, with the only worthwhile extra feature being an introduction to Brook. This extra is included as the English Dub of One Piece has yet to introduce him, but if you watch it before the film then it does spoil some scenes. 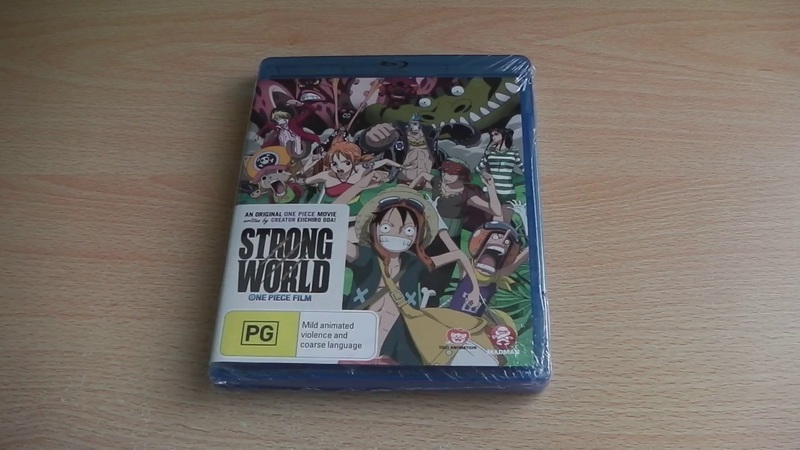 The Australian (Madman Entertainment) release of One Piece: Strong World is exactly what you expect it to be, a Blu-ray disc with some cool art work and minimal extras – but interestingly I prefer this over the US version. Either way One Piece: Strong World is now available within Australia and like I mentioned before it works perfectly fine on UK Blu-ray players. Plot: When the Straw Hats catch wind of trouble in the peaceful waters of the East Blue, they quickly set a course for home! But before they reach their destination, fate leads them into the deadly path of Golden Lion Shiki. This gravity-defying madman needs a navigator, and he wants Nami! Shiki scatters the Straw Hats across the far corners of a floating island filled with ferocious, genetically-mutated monsters, and issues Nami and ultimatum: join his crew – or her friends die! Big mistake. Luffy kicks his attack mode into Third Gear and begins a brutal rampage across the beast-ridden island. It’s all hands on deck in Monkey vs. Lion. Winner gets the navigator!